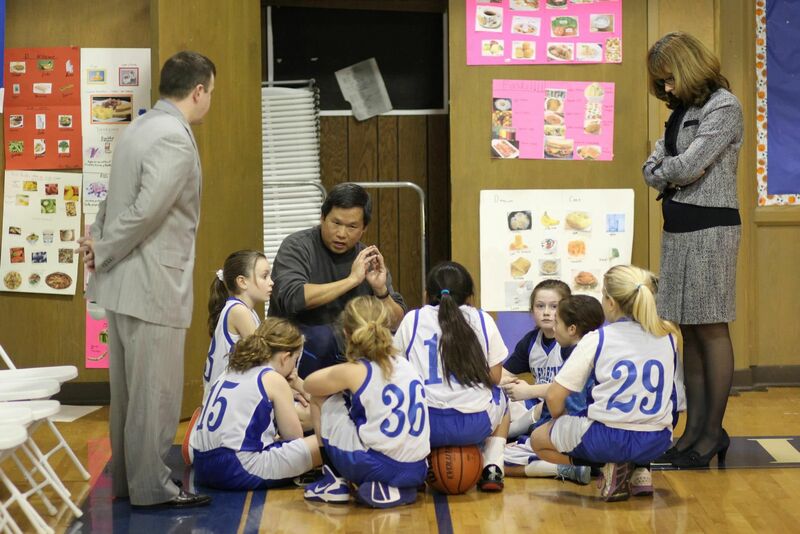 It has been few months since I last coached the SES 4th grade girls’ basketball team. I look back to this experience of being a head coach as a gift. I was not supposed to be the head coach, but since no one volunteered to be the head coach I was asked to volunteer. I’m glad that I did it and will remember it for a long time. In recent months, there were a couple incidents that occurred that make me wonder what is going on in amateur sports, not to mention professional sports. As I read the news on May 6th, 2 (two) news items caught my attention. The first one was that a Florida water polo sore loser used a handshake line to push his opponent into the water. The second was a goalie at a recreational league that sucker punched the referee for issuing him a yellow card. What’s going in the amateur sports world? What went wrong? As I examine this issue, I can’t help but rest some of the responsibilities on the shoulders of the coaches. Some of the coaches do not show enough respect for the referees. Therefore the athletes see that behavior and do the same thing. I’ve often seen coaches yelling and arguing with the referees. Another aspect of this is the parents; sometimes they end up in a shouting match with other parents from the opposing team or worse yet against the coaches. 1) Coaches should conduct themselves accordingly. Whether they like it or not, they are role models. Therefore they should also hold themselves to the same standard. As a coach, you need to lead by example and conduct yourself with integrity at all times. 2) Coaches should engage the parents early on and set the ground rules on how you want them to conduct themselves. Advise parents to not interfere with the game, however, they should cheer and encourage the players for their effort. 3) Parents play an important role in development of the athletes, so try to involve the parents throughout the season. Parents must show good sportsmanship and respect to the coaches, players and referees. 4) Meet with the players and establish ground rules. Emphasize that respecting coaches, referees and parents is mandatory and by no means should they answer back or yell back at them. 5) Hold players accountable for their actions. If they violated the code of conduct, the coach must meet with the player and parent concerned to discuss the matter and address it accordingly. Coaches play an important role in shaping the behavior of their players. Therefore if we want to address the issue of violence and lack of sportsmanship, it has to start from the coaching staff. Holding the parents and players accountable for their actions will only help improve the current state of the game. As a coach myself, my philosophy is all about the love of the game and teaching the players how the lessons in sports can be applied to their lives. Win or lose, I expect their best effort in each practice and in each game. I want them to always respect the coaches, parents and referees at all times. I want them to learn from their mistakes, take responsibility for their actions, and take pride in their part in the success of the team. I agree that managing the parents expectation is a huge challenge. My belief is that parents need to let the coach do their job. If the coach is not doing their job then they need to address their issue in private with the coach.